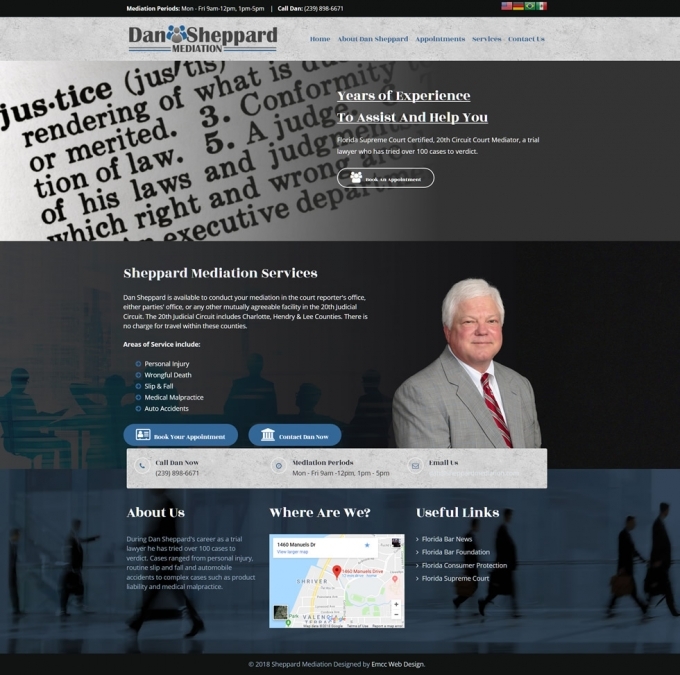 Dan Sheppard is available to conduct your mediation in the court reporter's office, either parties' office, or any other mutually agreeable facility in the 20th Judicial Circuit. The 20th Judicial Circuit includes Charlotte, Hendry & Lee Counties. The site allows Dan's clients to make mediation appointments online.